Proserpine Museum. Image, Proserpine Museum website. Today, volunteers at Proserpine Museum opened the doors for business for the first time since Cyclone Debbie. With many local businesses still closed and undergoing repairs, this reopening is great news for Proserpine. Volunteers report that the building held strong during the cyclone. Although a small of amount of water got into one of the displays, there was very little damage – most of their collection was raised off the floor and this helped it to stay safe. Volunteers held a working bee to remove wet carpet and received assistance from the army to clean up the front of the building. This means that the museum can now focus on preparing for it’s annual book bonanza in May, an event that has been running for over 20 years. Money raised goes towards the cost of maintaining the museum. 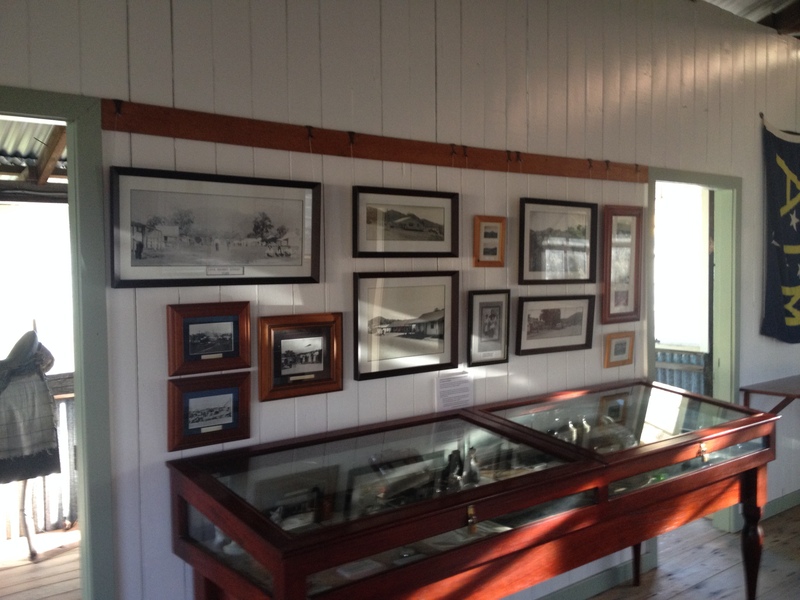 Visit the Proserpine Museum website for more information. Update 03/4/2017 – Proserpine Museum. All volunteers safe. Minor water damage – but mostly ok. Will update as needed. – Collinsville Coalface. All ok. The MDO team will be contacting museums across the weather affected areas in central and south east Queensland over the coming days to assess damage and issues arising from the cyclone and associated flooding. Please get in touch with us if you have any information or if your museums and collections have been affected. Update 30/3/2017 – Bowen Museum and Historical Society are ok. No structural damage to building, collections and volunteers are all intact! The Queensland Museum, Museum Development Officer Program is waiting to hear from groups that are located within the region where Cyclone Debbie has caused damage. This information may take a few days or even up to a week to come through as volunteers and staff stay safe within their own homes and look after families and friends. As ex Cyclone Debbie follows its path, other risks including flooding may also cause concern for collections throughout Queensland. Please see a past blog here for some useful information on disaster preparedness. The Museum Development Officer Program will do a further blog post to let people know of any progress and is working closely with Museums and Galleries Queensland to gather information. 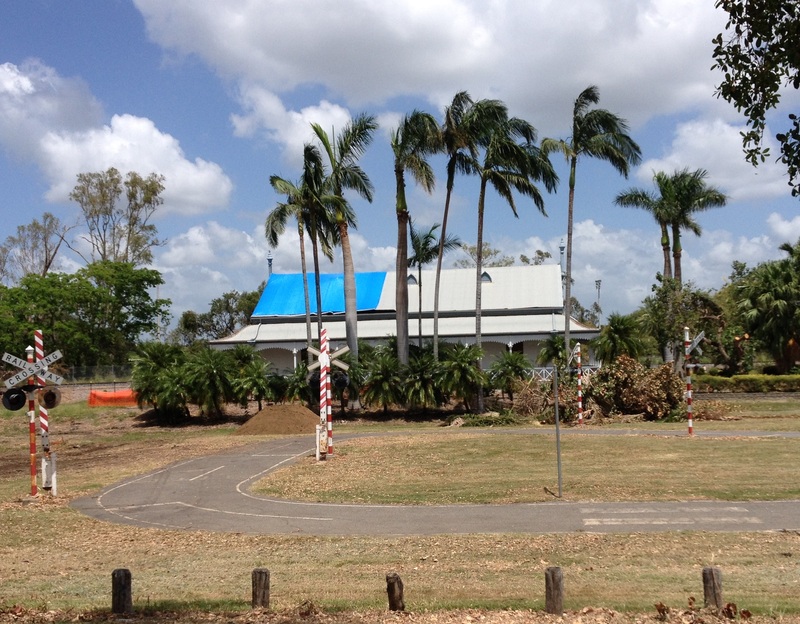 Preparation for Cyclone Nathan at James Cook Museum, Cooktown, March 2015. Image: Jacqui Collins-Herrmann, Manager, James Cook Museum. After two weeks of watching and waiting as Cyclone Nathan carved an erratic path back and forth across the Coral Sea, it finally passed over the FNQ coast on Friday/Saturday between Cape Flattery and Cape Melville. This more northerly crossing meant that the museums in Cooktown were spared the worst of the severe winds, and the museum at Coen did not experience adverse weather. A number of these organisations are housed in heritage buildings. During cyclone season, we always reflect on the vulnerability of these buildings to heavy rain and cyclonic weather, particularly if they have sustained damage from previous weather events. As usual, MDOs worked with groups in the immediate vicinity pre and post cyclone to discuss their preparations and contingencies, and to offer advice and support. We are pleased to advise that none of the organisations sustained significant damage or impact. Staff and volunteers at James Cook Museum, Nature’s Powerhouse, Cooktown History Centre and Cape York Heritage House all did a fantastic job during the lead up phase to ensure that collections, data and buildings were as prepared and protected as they could be. Cyclone preparation and clean up can be an exhausting process – at work and at home. And it always disrupts work on other projects. For Cooktown History Centre, Cyclone Nathan meant putting on hold their research and preparations for the new exhibition they plan to open for Anzac Day. Spare a thought for these groups now as they clean up, reopen and get back to the business (and pleasure) of running museums. Yeppoon two weeks after Cyclone Marcia passed through the area. While communities in the Livingstone and Rockhampton Regional Council areas are still recovering from the effects of Tropical Cyclone Marcia, Lydia (MDO for Southern Inland Queensland) and I have been visiting museums in affected communities to offer collections care advice and assistance. The rapid increase of Marcia from a relatively weak cyclone to a severe category 5 is a timely reminder that preparation is a museum’s best defence against severe weather events. The potential for severe damage from Marcia was very real, and in the days leading up to the cyclone I had been in touch with as many groups as possible to talk over their preparations. Although Marcia was still at that stage a relatively weak system, groups were taking the threat seriously and preparing well, ensuring the best possible outcomes for their collections and allowing themselves sufficient time to also prepare their own homes and families. A well thought out Disaster Plan is invaluable in situations such as these. Having a plan of action to follow, and a system for obtaining assistance should it be necessary, makes a very stressful situation considerably easier to manage. But a Disaster Plan is only as good as your preparation – revise it, practice it, and make sure everyone knows what to do! If you are interested in learning more about disaster preparation and response, visit the Disaster Recovery section in the Resources page on our blog. In the aftermath of Marcia, no significant collection losses have been reported, and most groups seem to have escaped with relatively minor damage. The museums were well aware, however, that the days following a cyclone are no time for complacency, and were carefully monitoring their collections for hidden leaks and mould growth, which can occur easily in the hot, humid and still conditions which inevitably follow. The visit was also a reminder that, while some people have had their lives seriously disrupted by Marcia, most local businesses are trying to get back to normal so if you’re considering a visit to these regions, don’t shy away because of cyclone damage – come along and support local businesses and visit a museum or two while you’re there! 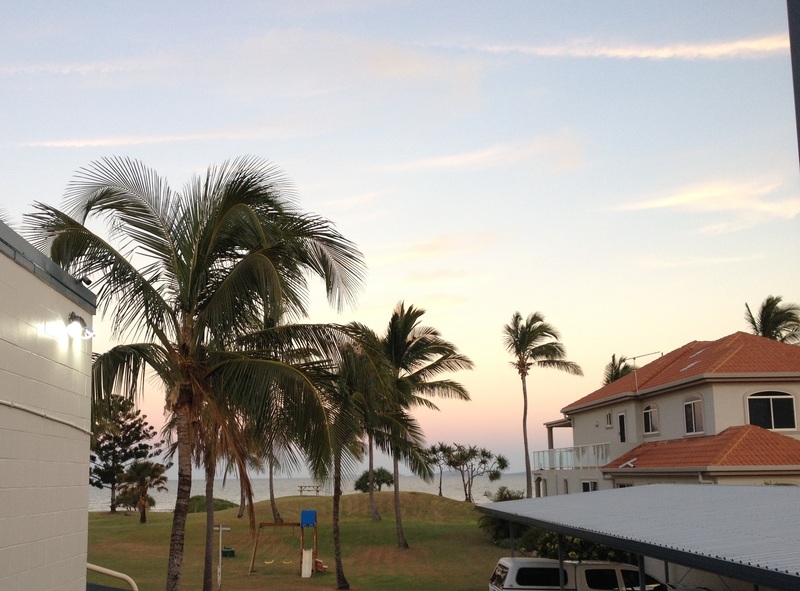 Yeppoon – as beautiful as ever. Traveling along the Peninsula Development Road up to Coen. Almost a month after Cyclone Ita threatened communities along the Far North Queensland coast, it is great to see museums in the Cook Shire back in business and getting ready for the tourist season. The museums and collecting groups in the region did a great job with their disaster preparedness – it’s fortunate that the predicted impact did not eventuate for these organisations. After being in close contact with the groups during the lead up to the cyclone, it was great for the MDOs for Far North Queensland and North Queensland to travel to the region and undertake some practical work with communities. 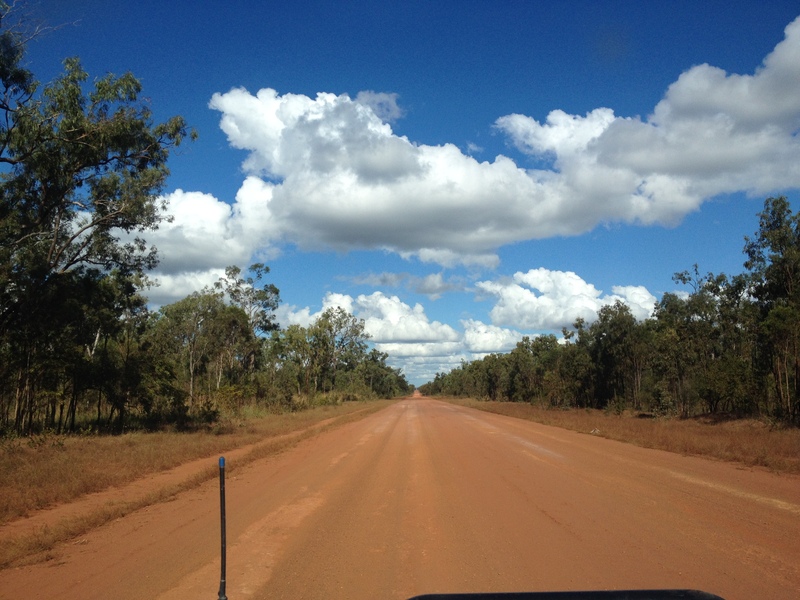 Last week, Jo Wills and Ewen McPhee traveled up the Peninsula Development Road to Coen to work with Gail and Peter Clark at Cape York Heritage House. There is always something to see and enjoy while traveling through this magnificent country – this time there was much more water around, and small billabongs and water lilies were evident along the roadside. It was also good to see that heritage places like the Musgrave Telegraph Station were still standing strong. Unfortunately, as the road through Lakeland National Park was closed we couldn’t visit Old Laura Homestead to see how that had fared. 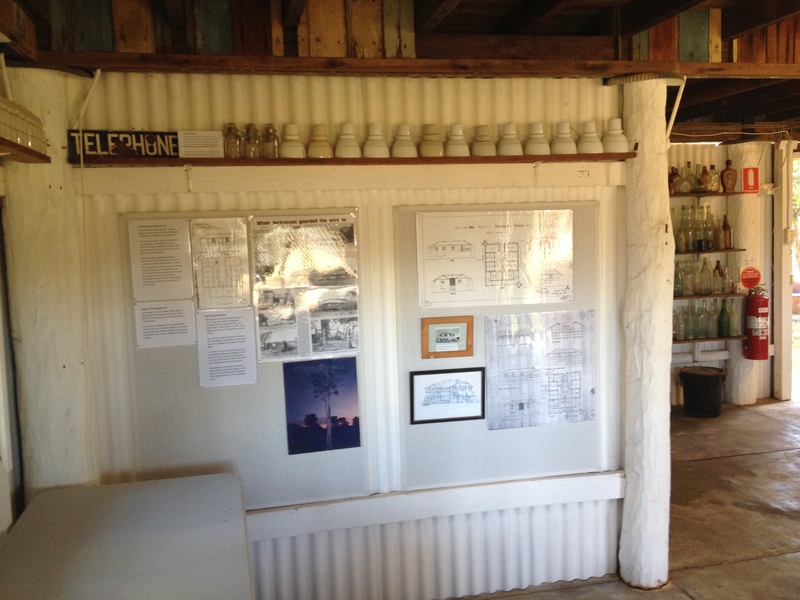 Jo and Ewen have worked at Cape York Heritage House in Coen for the last three years, each time helping the local volunteers to clean, refresh, reinvigorate and reinstall displays. Every year, the volunteers pack down the museum for the wet season and reinstall at the beginning of May. In addition to the usual work, this year the MDO’s helped Gail begin work on a new policing display, put up some information about WWI, cleaned up the mining machinery display and developed plans for future projects in the region. After three days in Coen, the MDOs headed back to Cooktown to James Cook Museum and Nature’s Powerhouse. Although cyclone damage is a little more evident there, again it is nowhere near the predicted impact. Stay tuned for more entries about the MDO’s recent activities in Cooktown. As Cyclone Ita has gathered strength in the Coral Sea, the MDO for Far North Queensland based in Cairns, Dr Jo Wills, has been liaising with groups across the far north region to provide advice and assistance as they prepare for its arrival. Due to the uncertain path of the cyclone, there has been potential for small museums and historical societies in Cook Shire Council, Tablelands Regional Council, Mareeba Shire Council, Douglas Shire Council, Cairns Regional Council and Yarrabah Shire Council to be affected. This has meant that Jo has been either in direct or email contact with more than 25 groups and representatives from each council to provide collections related disaster information and advice. Understanding the significant collections, the types of issues they may face due to rain, water damage and wind damage is vital to help the MDO prepare and prioritise any response they may be tasked to undertake. One of the key tasks Jo has been undertaking is to ascertain any major concerns or issues groups in high risk zones, particularly in Cook Shire, might have. Many groups have collections in heritage buildings and some of these may be vulnerable in this significant storm. Groups in a flood inundation zone, like the Cooktown Historical Centre, for instance, have an important collection of archival documents. 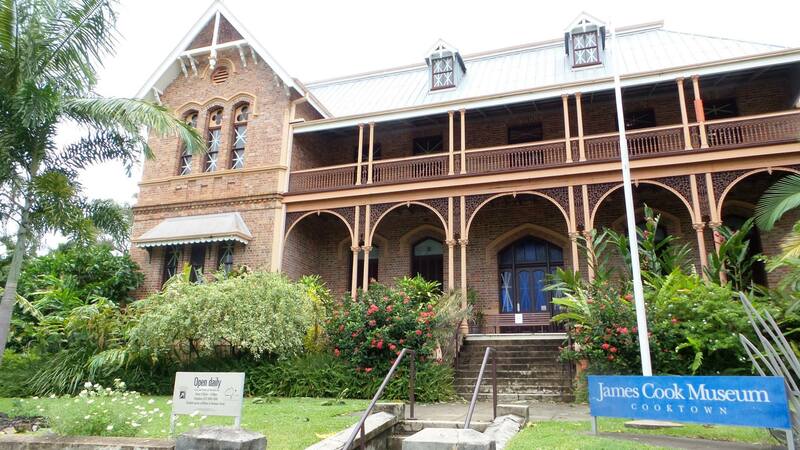 The National Trust of Queensland’s James Cook Museum is housed in a Queensland Heritage Register, heritage listed building and holds a significant regional collection of artefacts, photographs and items related to James Cook. Nature’s Powerhouse holds the botanical drawings of Vera Scarth Johnson – water damage to these would impact a significant record of the region’s diverse flora. 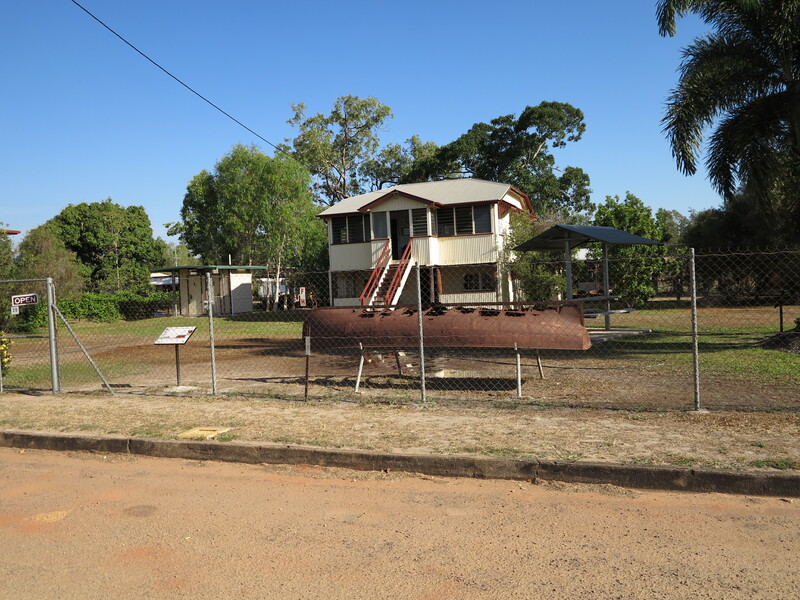 Coen’s Cape York Heritage House collections are also housed in an older building – they reflect the districts pastoral heritage, priceless records of interviews with local stockmen and have an association with the Cape’s telecommunications history. Through contact with the various groups and councils, Jo is keenly aware of the work volunteers do to protect community collections as volunteers devote significant time to collecting and preserving local stories and heritage. Most of the groups Jo works with have experienced and dedicated volunteers who are keenly aware of the risks associated with a cyclone. All are working to secure their collections and buildings to the best of their ability. The MDO program will keep you updated as we know more and please refer to our disaster recovery page here if you require some general advice. Severe Tropical Cyclone Ita – Issued at 11:05 am EST Friday 11 April 2014.